NBA Talk #45: Who should the Golden State Warriors pick up in the Buy out Market? What's up basketball fans! 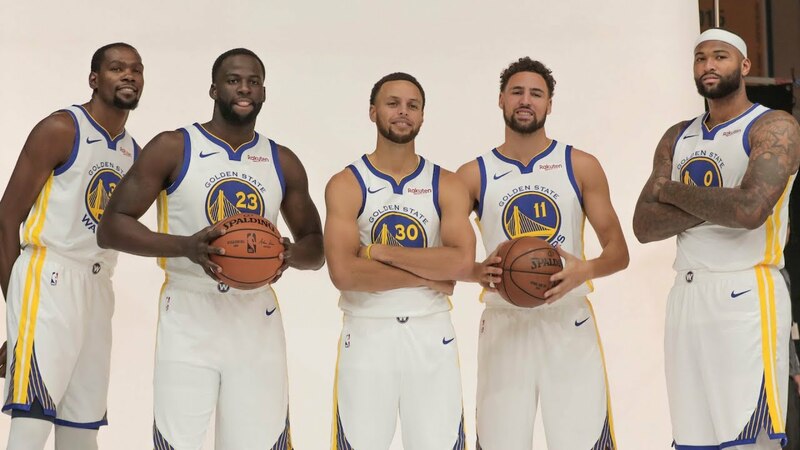 I am here again @dwin0603 to give you another exciting basketball discussion for another episode of NBA Talk, and today, we will talk about the buy out market and who should the Warriors pick up. Let's start! As expected from the best team in the NBA, the Warriors doesn't show any interest in the recent trade deadline just letting it pass without doing any move. But despite not being active in trade talks this past trade deadline, the Warriors can still improve their already stacked line up if they went to pick up some players in the buy out market. There are some fine veterans in the market who can help them improve their bench and give them the experience to be more dominant especially in the playoffs. And I am sure that a lot of veterans from the buyout market would surely love to play for the Warriors to have an easy path to the Finals and a chance to win a ring. Now, is the chance for the Warriors to bolster their lineup and pick up good players who are gonna be bought out. Now, I'm going to give you the top players that the Warriors should get. As I've said in my previous blog, Enes Kanter will surely be a great addition for any team because of his inside presence and his young age. Kanter has not seen true action since leaving the Oklahoma City Thunder and he's been upset in his role with the Knicks so this is the chance for him to enjoy playing basketball again and play for a strong contender. Warriors bench can become a tremendous force if they picked up Kanter who can be a nice scoring option off the bench and can give DeMarcus Cousins some rest. After the Clippers waived Gortat recently, the veteran big man has no place now to go and some NBA analysts said that this might be the end of his career in the NBA. But I think he still have something to offer and the Warriors can still make him effective. I believe coach Steve Kerr can get the most out of Gortat and adding him to the bench can help the younger bigs develop their game. We also know that the Warriors lacks depth in their front court because DeMarcus Cousins is the only true reliable center for the Warriors. Marcin Gortat can be a reliever for the Warriors if Cousins is on the bench. Marcin also thrives with great point guards because he's one of the best in the league in pick en roll plays. Zach Randolph has not seen action this season after the Kings did not let him join the rotations and then traded him to Dallas. And looks like the Mavericks will not also put him in their rotation so that means that there's a large possibility that Dallas will just buy him out. Zach is still a fine player at his age. His experience is the most important thing and he can fill the void in the Warriors bench who lacks big man. Randolph can dominate the paint and bully other bigs. He's also a good offensive rebounder and that would be a huge help for the Warriors clearing the boards. Zach is also not a selfish player and the Warriors are not built to be selfish. Zach is actually a great passer at his position which can be useful for the team and help them move the ball more.